Wouldn’t it be great if your kids drank a healthy smoothie every day? Unfortunately mine don’t always look that happy when I serve them my green creations. Being creative is therefore key. 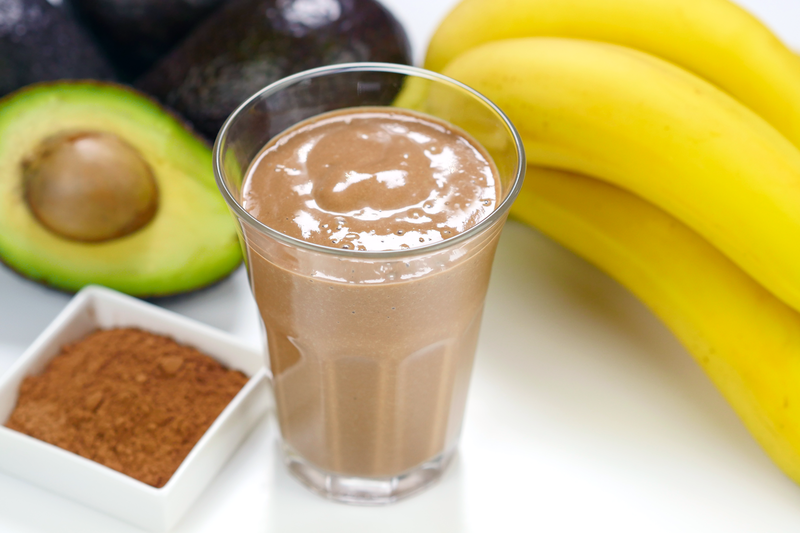 This chocolate smoothie made with banana and avocado is sweet and creamy. My kids love the chocolate taste but can’t taste the avocado. So please don’t tell! The smoothie contains healthy fats and plenty of nutrients and makes the perfect breakfast or healthy treat. Peel then cut the avocado and the bananas into pieces, add to the blender with all other ingredients and mix.